Located just outside of Philadelphia, Narberth harkens back to the days of small town living. Residential sidewalks all lead to the center of town with its train station, quaint movie theater and wonderful restaurants. It is an environmentally friendly community for adults and children alike, with beautiful parks, playing fields, and some of the county’s best schools. As one of the Mainline area’s premier residential design and construction companies, we work closely with you every step of the way and promise our designs will match your home’s particular style and the neighborhood’s distinct character. From bathroom and kitchen remodeling to full home design and build, our skilled team of professionals is ready to help you realize your vision. One of our greatest strengths lies in seamlessly blending old with new, accommodating the many architectural styles the area is known for. A beautifully designed remodel will add value and comfort to your kitchen, making it your family’s favorite spot for creating cherished memories. 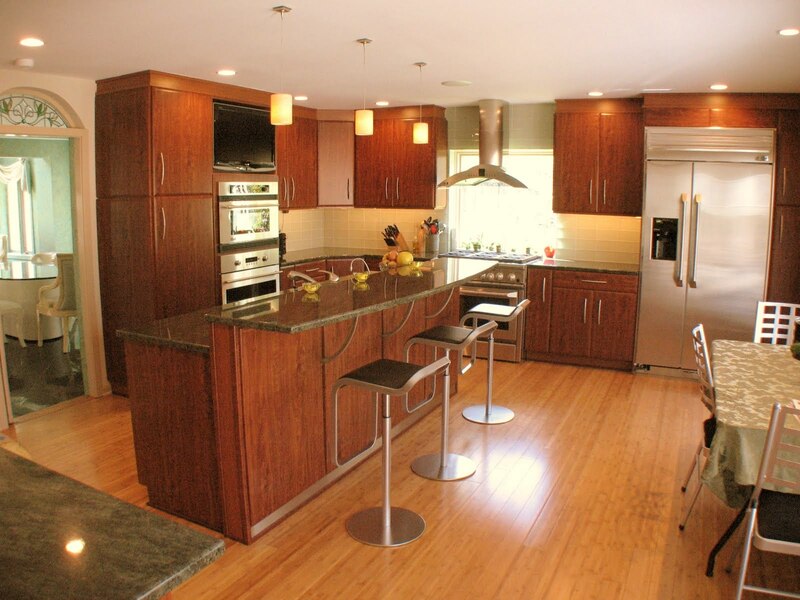 We work with you to expand, customize or resurface your kitchen; replace or restore cabinetry; update your counters; make room in older kitchens for larger, modern appliances; or custom build new features to suit your taste. Update your bathroom by transforming into a visually stunning and relaxing retreat. We work with bathrooms of all sizes from tiny powder rooms to expansive master bath spaces. We can remodel and upgrade your bath’s fixtures, cabinetry, tile, and more. We can provide services from refinishing old surfaces to expanding spaces; from installing a heated floor beautiful vanity cabinets, new fixtures and accessories to creating steam showers, saunas, and walk-in closets. 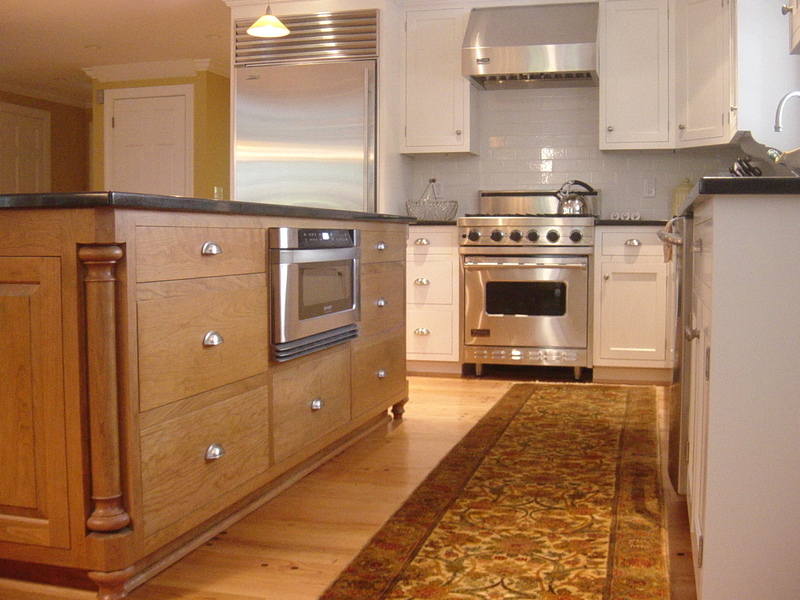 We can remodel any part of or your entire home. 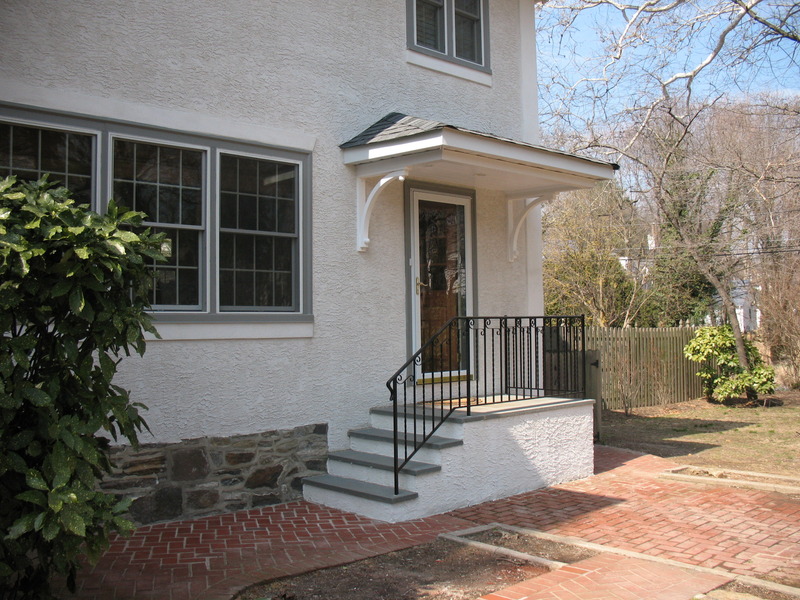 Porches, decks, sunrooms, finished basements, and media rooms are just some of the custom work we do. Our award-winning team will be with you from start to finish, helping make your vision a reality you’ll enjoy for years to come. 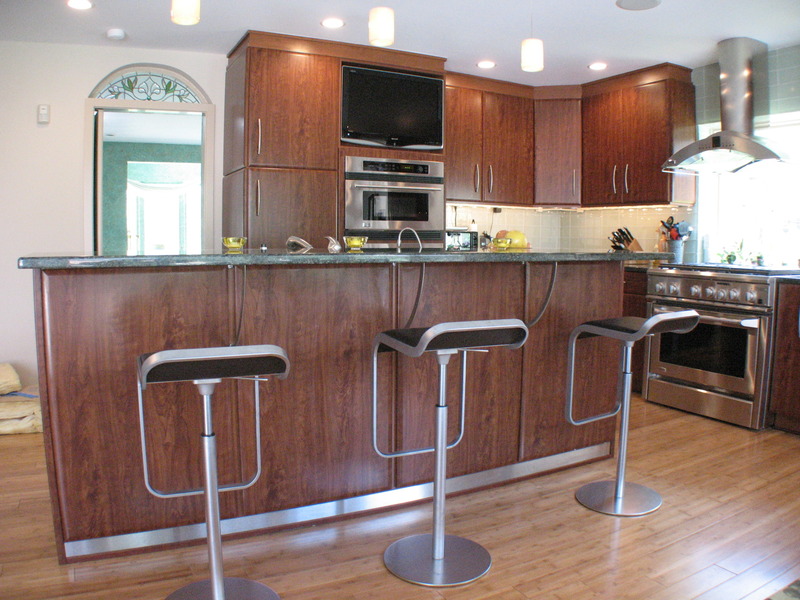 Contemporary kitchen renovation with modern style cabinetry, bamboo flooring, stainless steel accents and trim, and a window as the backsplash behind the cooktop. This is the third member of the family to hire us to work on their home. We designed and built a new master suite with a luxurious oversized whirlpool tub. We also remodeled other areas of the home in need including new siding and paint.